June has seen us work with clients in a range of sectors, including estate agents, insurance, leisure and designer clothing. We are well into the development of a number of projects, as well as recently launching some interesting projects for Hoochie Coochie, Rise Lettings and My Best Insurance Quote. We’ve been working on the new Hoochie Coochie website since May, and launched the website at the end of June. 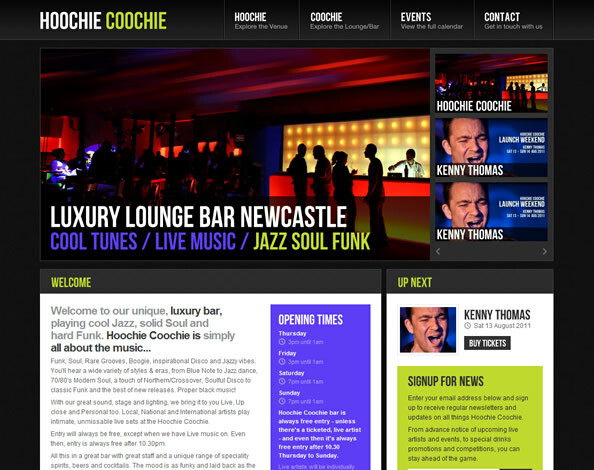 Hoochie Coochie is a brand new live venue and luxury bar situated on Pilgrim Street in Newcastle upon Tyne, in the former premises of Blue Coyote. The bar promises to attract some of Jazz, Soul and Funk’s biggest acts in one of the most unique and intimate settings anywhere in the country. They already have names like Kenny Thomas, Marcell and the Truth and the Brand New Heavies lined up to play, putting the venue firmly on the map. The website has a bespoke content management system which makes it easy to add new events and keep track of ticket sales. Keep an eye on the website for news on new acts and the quite frankly outrageous amount of spirits they have on offer. The Rise Lettings website has been live since early June, and has already had a big impact on the way they do business online. 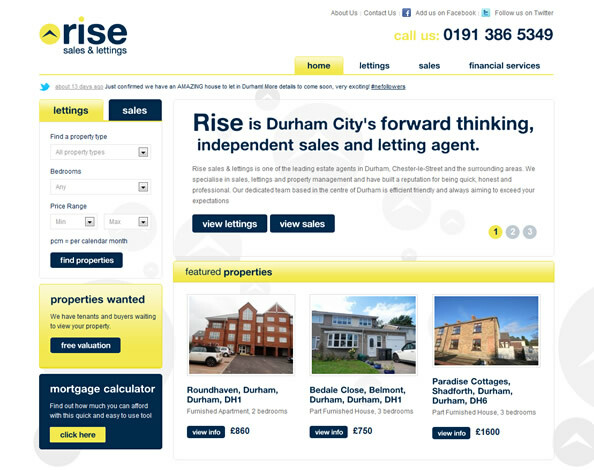 As well as a completely revamped design, the website gives the Rise team an easy to add, edit and delete properties from their database, as well as adding in map functionality to the site to allow their users to find properties even easier than before. 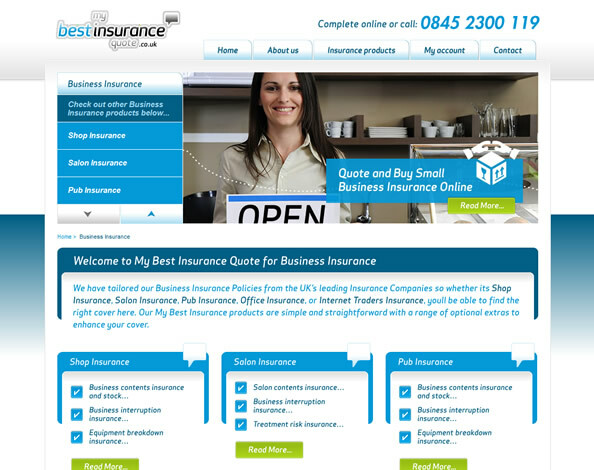 We launched the new version of the My Best Insurance Quote website in June, the second version of the website since we started working with the company last year. The latest version of the website offers a full range of insurance, and gives the internal team full content management over the website via WordPress. Union Room have been developing a system for schools, that allow the easy reporting, grading and commenting of individual school reports. We are currently rolling out beta versions of the software to select schools, and will be looking to launch the full version of the system towards the end of the year. 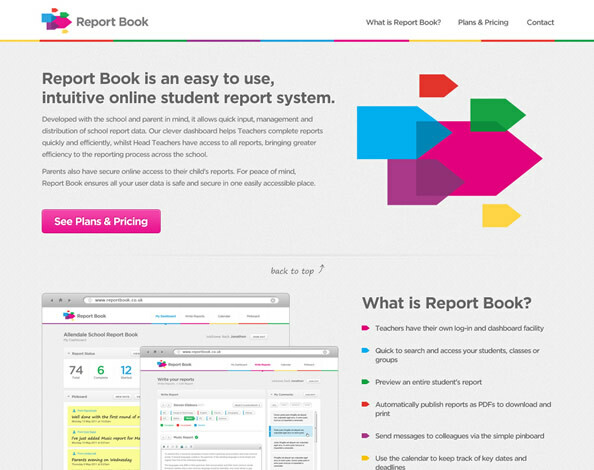 We recently developed a detailed holding page for the website, which you can see at www.reportbook.co.uk. We are entering the final phase of development for the new Sanderson Young website, and are currently porting over the data from the existing website. We’ll be publishing a full case study when it is up and running. OK, it’s not that top secret, but we can’t give the full details of the app quite yet. We’re building it on behalf of Jamie Wilkinson of Bespoke Radio, and we’re confident it’s going to be a big hit with football fans all over the country. We’re hoping this will be in the app store sometime in August, and we’ll be publishing details of this as soon as possible. We previewed the new Projector website back in August via dribbble, and we’re still as excited about it as we were then. The new website will completely change the way Projector approaches their online presence, with a more heavy approach to case studies, blogging and social media. We’re aiming for a mid-July launch, so keep an eye on Projector’s twitter account for the latest news. We recently started work on an exciting new designer menswear brand, working alongside Projector to create their branding and website. We’re still in the very early stages of the project, but we are looking forward to seeing what we can come up with with such an interesting and exciting concept.